For Sale or Lease (2189728) Rare three-bedroom condo in gorgeous Guste Island community. Beautifully maintained, move-in ready. 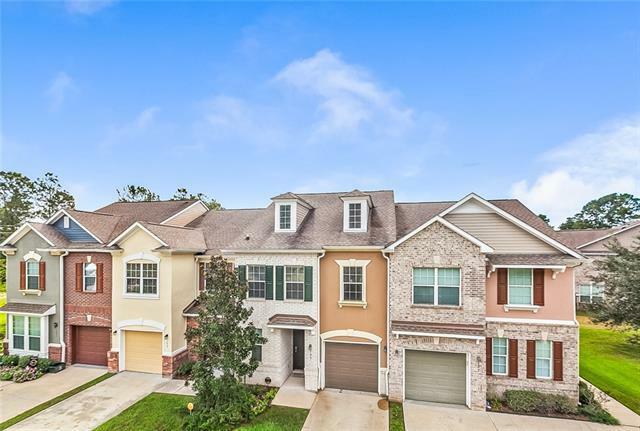 Handsome Saltillo tile, expansive open-concept den + kitchen w/ full-length breakfast bar and sunny, separate dining area overlooking fenced-in backyard. Large bedrooms, 2.5 baths; sunken, large tub and separate shower in the master. Qualifies for 100% Rural Development financing. Great school district and neighborhood amenities like pool, playground and lagoon access. Won’t last! Listing provided courtesy of Larry J Gangi of Key Real Estate Of La Llc.